GENEVA — More than 90 per cent of the global population is breathing in high levels of pollutants, the World Health Organisation said on Wednesday, blaming poor air quality for some seven million deaths annually. WHO’s study, which examined health-hazardous levels of both outdoor and household air pollution, found that "around seven million people die every year from exposure to fine particles in polluted air". 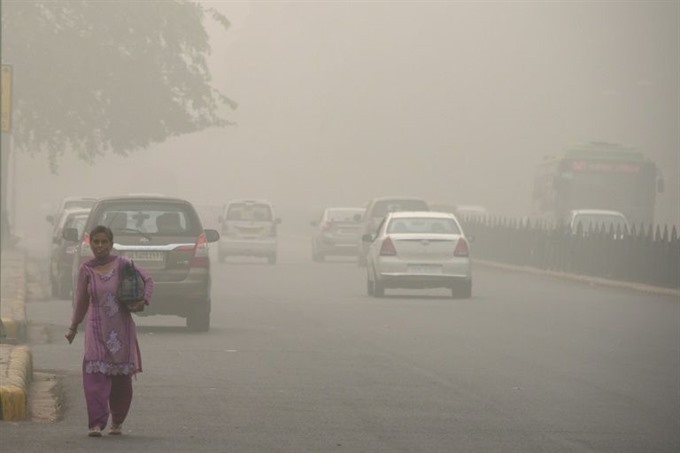 More than 90 per cent of deaths linked to air pollution occur in low- or middle-income countries, mainly in Asia and Africa, it found. "This is a very dramatic problem that we are facing," Maria Neira, the head of the WHO’s department of public health and environment, told reporters in a conference call. Particularly worrying, the agency added, was that more than 40 per cent of the global population still does not have access to clean cooking fuels and technologies in their homes. Wednesday’s report said access to clean fuels was increasing in every region, but warned "improvements are not even keeping pace with population growth in many parts of the world", pointing especially to sub-Saharan Africa.